When it comes to foundation, besides finding the right shade, I always look at their claims. What do they provide: full coverage, even skin tones, long wear, moisturizing and hydration? Those are a few key points that are beneficial to me. Covergirl, a well known drugstore cosmetics brand that I often times get my hands on, especially their The Super Sizer Mascara. Olay, on the other hand, has always been a skincare favourite of mine. When Covergirl and Olay teamed up to create Simply Ageless, I thought it was pretty awesome considering both brands provide great products on their own. So to have the two brands combine, I knew this collection was going to be amazing! Amazing, it was! First and foremost, the scent of the foundation, oh my! It smells beautiful. Yes, beautiful has a scent. It's light, sweet, pleasant, and fresh. The packaging is a hard plastic bottle and has a standard pump with 30ml, 1 fl. oz of foundation. The white swivelling around the bottle is from the Olay Regenerist Serum and the shade on the bottle is a similar match to the actual shade. The foundation comes out as an almost mousse consistency, it's not a runny liquid nor a super thick hard-to-blend product. The foundation itself provided a light-to-medium coverage. 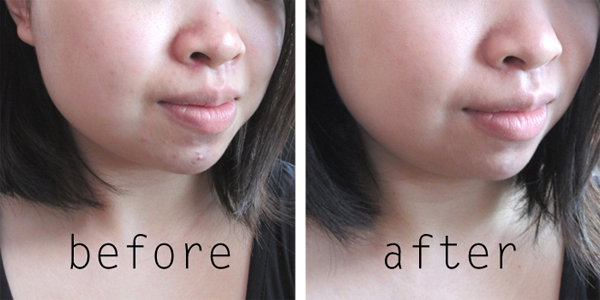 I have a lot of redness around my face and for the most part, it did hide my redness and evened out my skin tone. It did not quite cover my blemishes but it did make them less visible. Side note: I don't have noticeable wrinkles but the fact that it did reduce the appearance of my blemishes, it similarly did what it claimed to do - "instantly reduced the appearance of wrinkles", in my case, blemishes. A very lightweight foundation, it took a while for it to set into the skin but once it did, it left my skin feeling very smooth and moisturizing. It made my appearance look natural, it did not leave skin looking or feeling cakey. Although it doesn't claim to be a long lasting foundation, there is no need to worry if the foundation will be long lasting. It stays on all day and doesn't transfer; if you accidentally touch your face, the foundation won't get on your hands and rub off. There will be a bit of shine if your skin is prone to being oily but it won't leave a greasy mess. A little touch-up during mid day will do the trick! 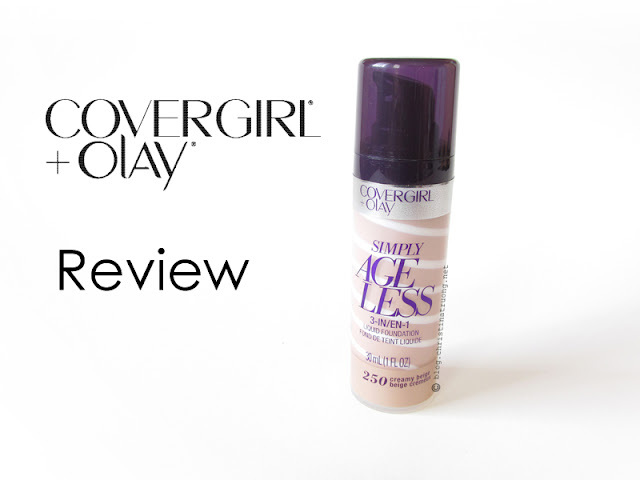 Overall, I'm very impress with COVERGIRL + Olay Simply Ageless Foundation. Although I may not be of age to truly test out the product due to the lack of wrinkles, I still appreciate the foundation for it being lightweight, long lasting, evening out my skin tone and providing firming moisture onto my skin. So if you're in the market for a lightweight, light-to-medium coverage foundation that leaves skin feeling and looking moisturized, COVERGIRL + Olay Simply Ageless Foundation is perfect for you! When it comes to foundation, the choice between Light, Medium or Dark usually doesn't cut it. And trading face products with friends isn't the same as passing around a tube of lipstick. (This isn’t Sisterhood of the Traveling Foundation.) Embrace your face, and find a foundation that’s perfect for you. From shine-free coverage and seamless blending to anti-aging benefits and 3-in-1 foundations that pack a primer and concealer, too, COVERGIRL has the ideal formula, finish and shade for every face.